Jordan on Monday hit out at the “Israeli” entity’s move to open a new international airport along their shared border close to the Red Sea, saying it would threaten the kingdom's airspace. "Jordan rejects the establishment of the ‘Israeli’ airport in its current location," head of Jordan's Civil Aviation Regulatory Commission Haitham Misto said, according to state media. Misto said the airport violated "international standards regarding respect for the sovereignty of airspace and territory of other countries." “Israeli” Prime Minister Benjamin Netanyahu attended the opening ceremony earlier in the day of the Ramon Airport, meant to boost tourism in the entity and serve as an emergency alternative to Tel Aviv's Ben-Gurion airport. Jordan first voiced its objection to the new "Israeli" airport when construction began in 2013. Misto said Jordan had notified the International Civil Aviation Organization of "the kingdom's strong objection." The kingdom, he said, had called on the ICAO to "take all necessary measures to ensure that ‘Israel’ complies with international standards”. 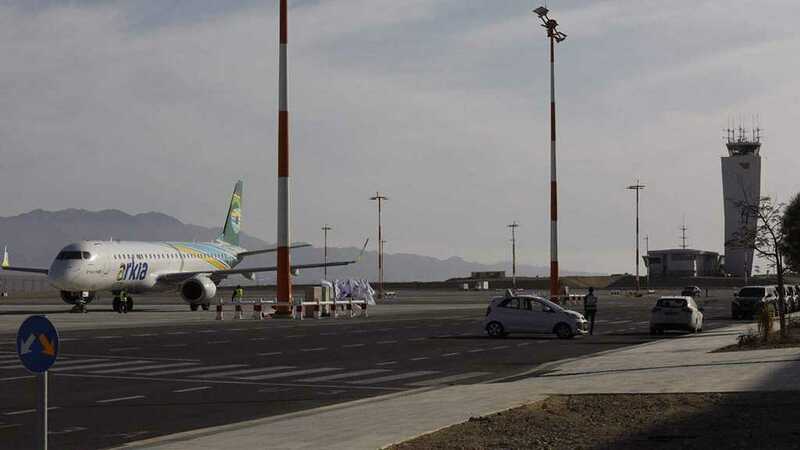 Misto said the committee had been in touch with the entity’s civil aviation authority, and "informed them that the decision to operate the airport should not be taken unilaterally until all outstanding matters are resolved." Jordan "reserves all options to ensure the defense of the kingdom's interests and protection," he added.